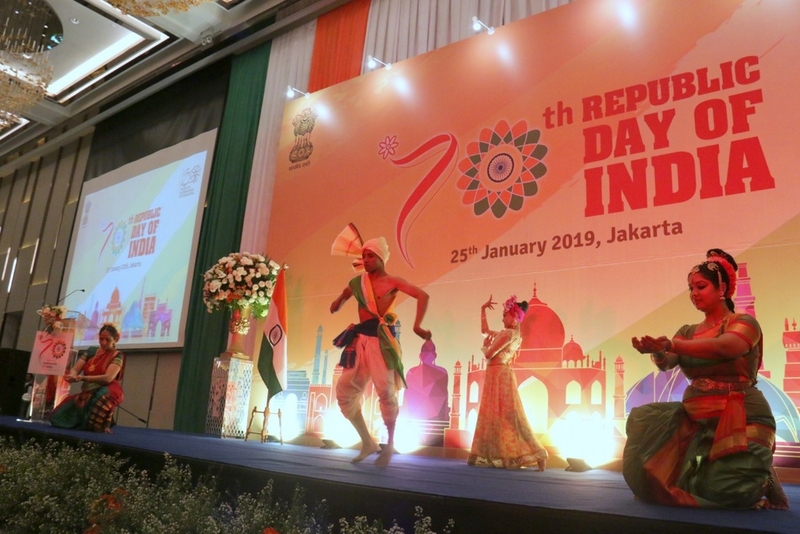 The 70th Republic Day of India Reception was hosted at the Westin Hotel in Jakarta on 25 January 2019. The gathering of over 500 guests at the reception included H.E. Mr. Eko Putro Sandjojo, Minister of Village, Development of Disadvantaged Region and Transmigration of Republic of Indonesia who was Chief Guest, along with members of the diplomatic corps, captains of the business community, senior officials from various Ministries of the Indonesian government, representatives of think-tanks, academia, media, the Indian diaspora. 2. In his remarks, H.E. Mr. Eko Putro Sandjojo welcomed the establishment of the Comprehensive Strategic Partnership between India and Indonesia and called for deepening of all round exchanges between the two maritime neighbours. 3. Earlier H.E. Mr. Pradeep Kumar Rawat, Ambassador of India to Indonesia welcomed the audience and highlighted the positive momentum of bilateral ties in the last four years which have gained momentum since the visit of Prime Minister of India to Indonesia in May 2018. During this visit, both Leaders agreed to strengthen cooperation in all areas by establishing a New Comprehensive Strategic Partnership and signed 15 agreements/MoUs between (including 9 G2G MoUs) in wide ranging areas of defence, space and science and technology. Both sides also agreed on a Shared Vision of India-Indonesia Maritime Cooperation in the Indo-Pacific. 4. 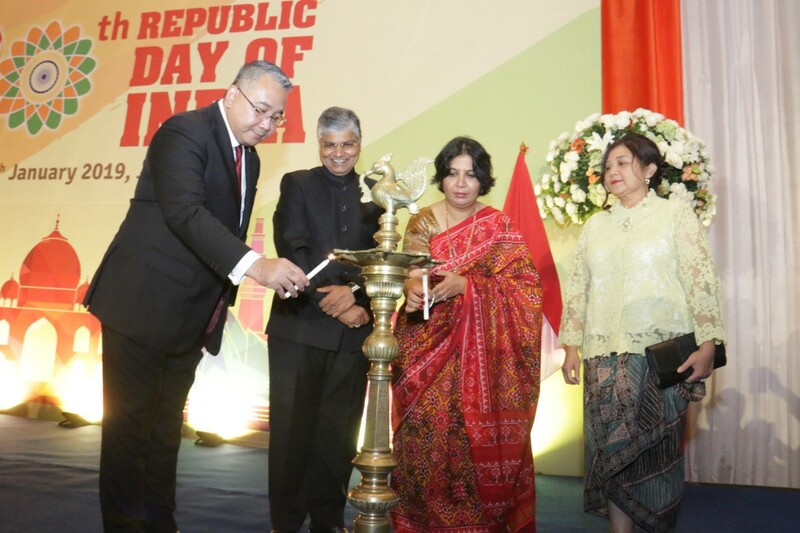 Ambassador also informed the participants that India and Indonesia would be commemorating 70 years of Diplomatic Relations in 2019, and several activities will be organized from 1 April 2019 to 31 March 2020 across Indonesia to celebrate the occasion. 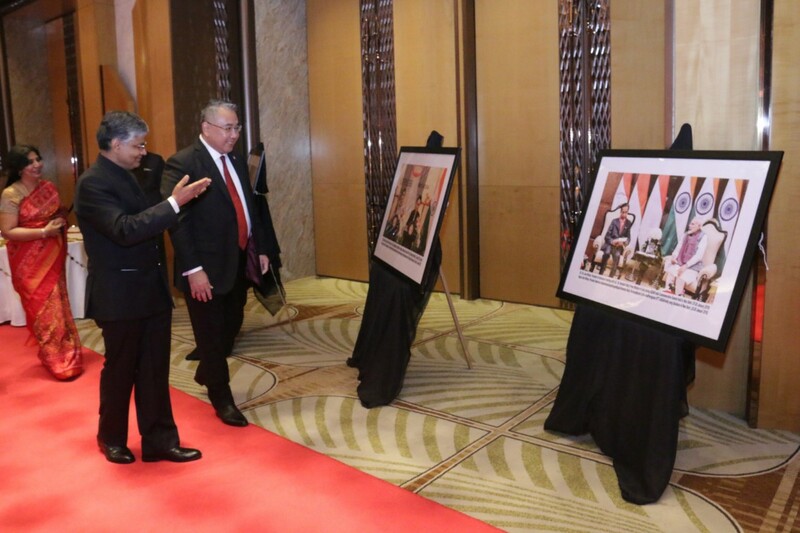 A photo exhibition chronicling the landmark events in India-Indonesia bilateral ties was also put on display at the venue of the Republic Day reception. There was a cultural fusion dance performance by Indian and Indonesian dancers on the occasion.